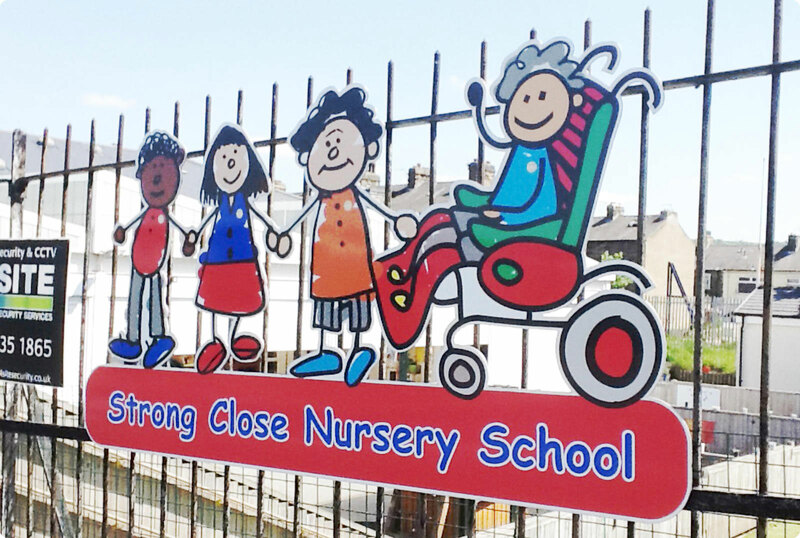 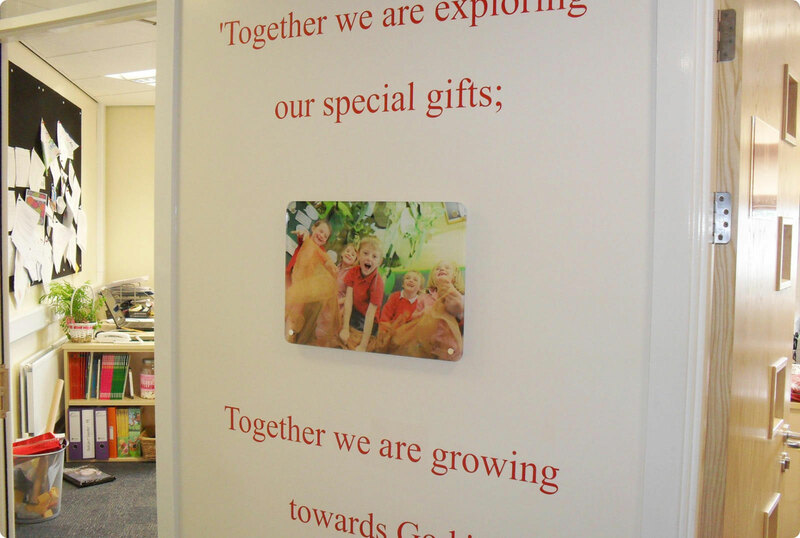 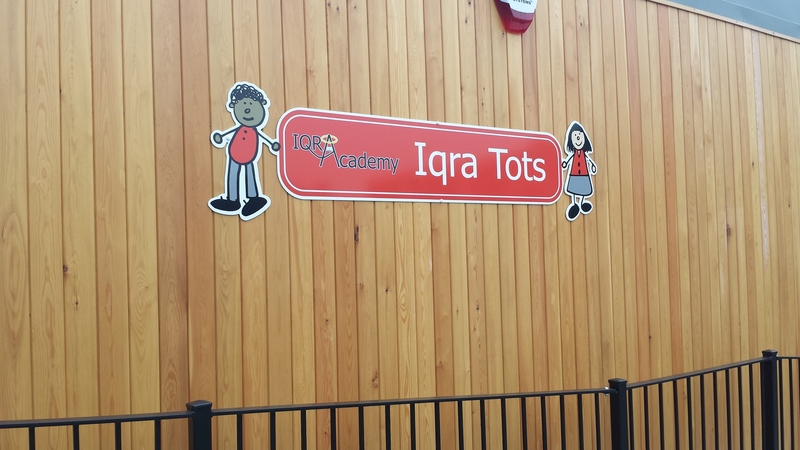 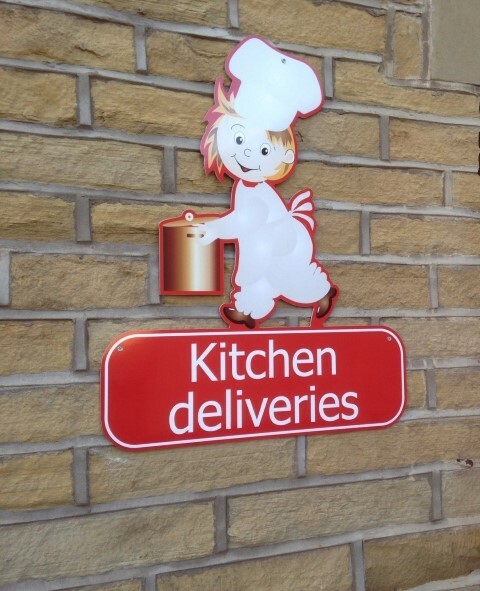 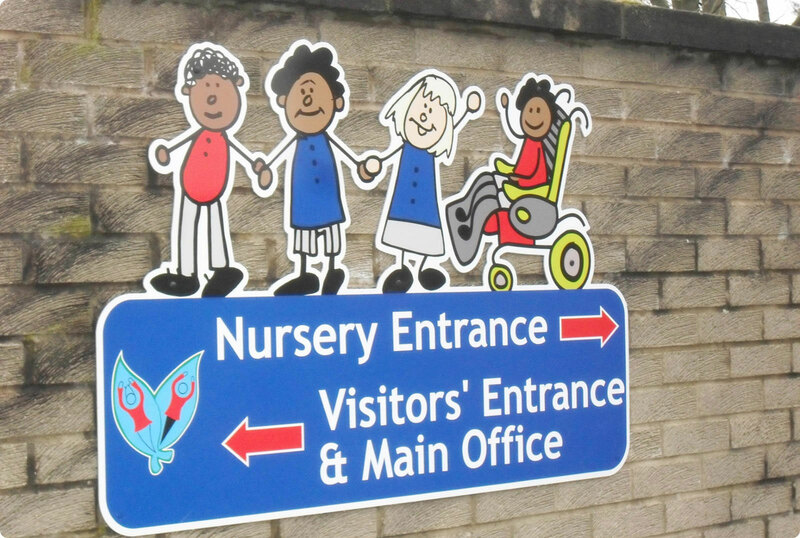 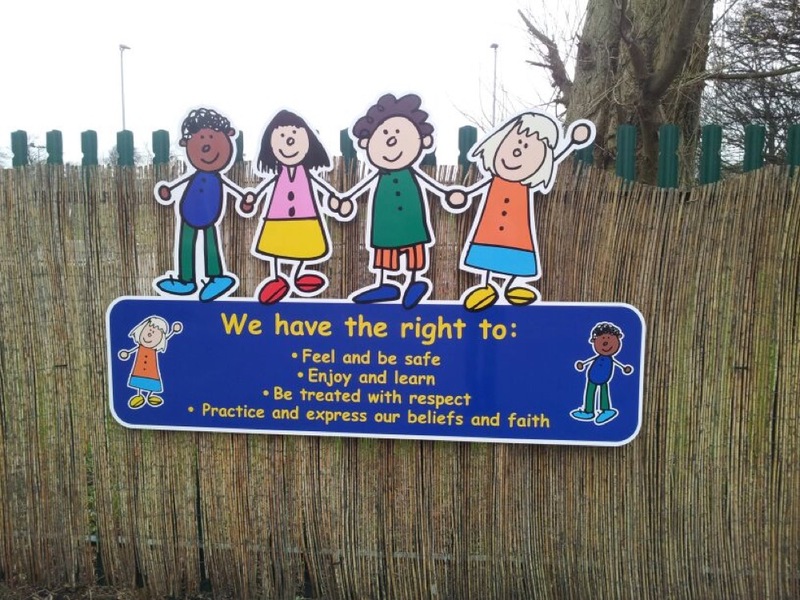 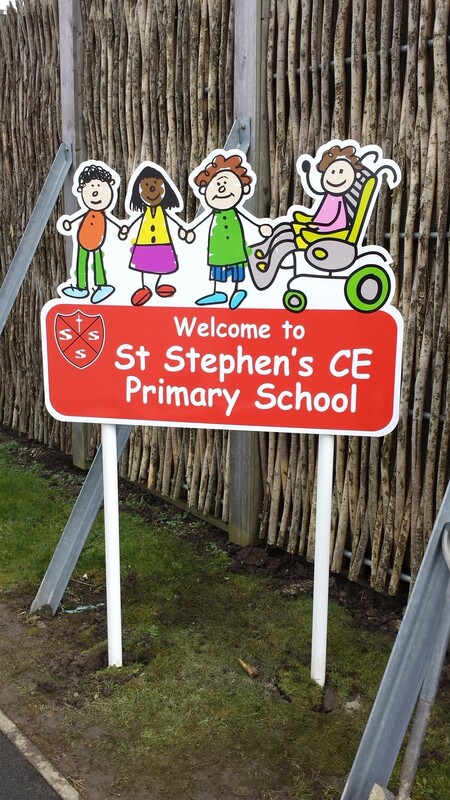 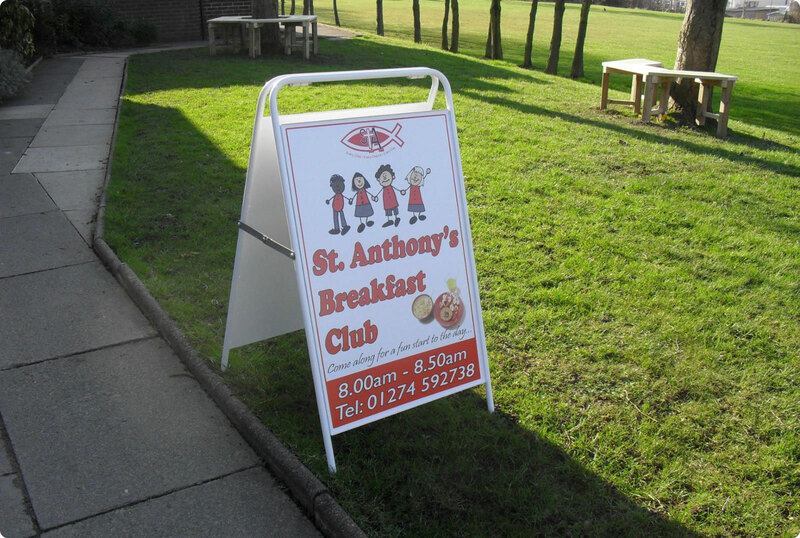 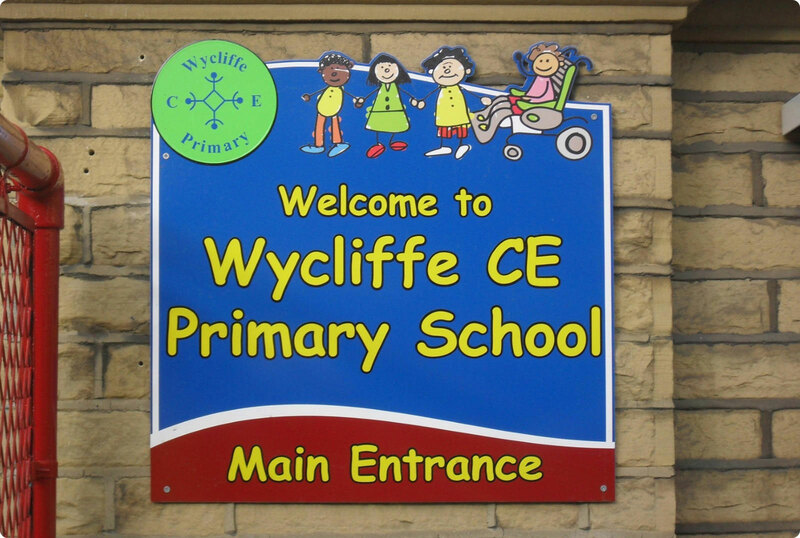 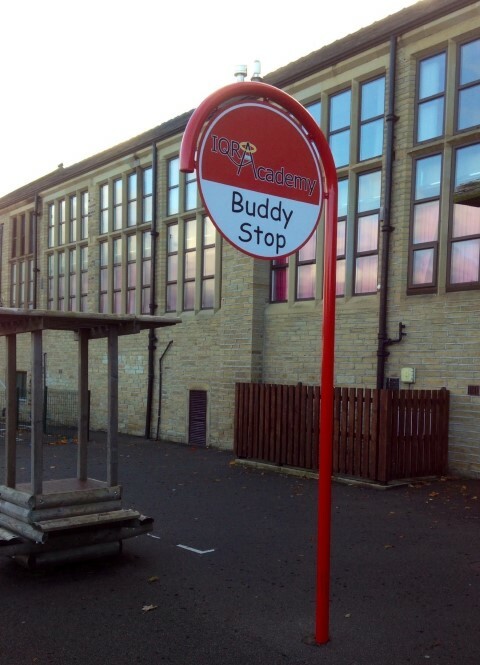 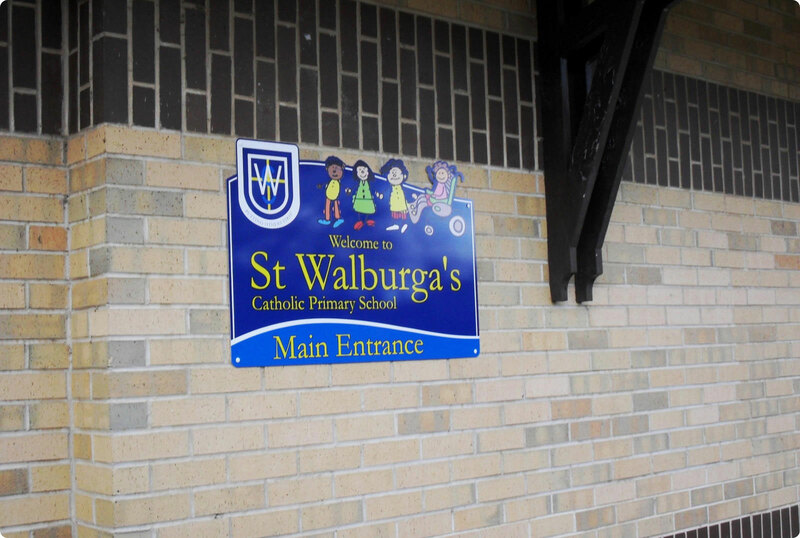 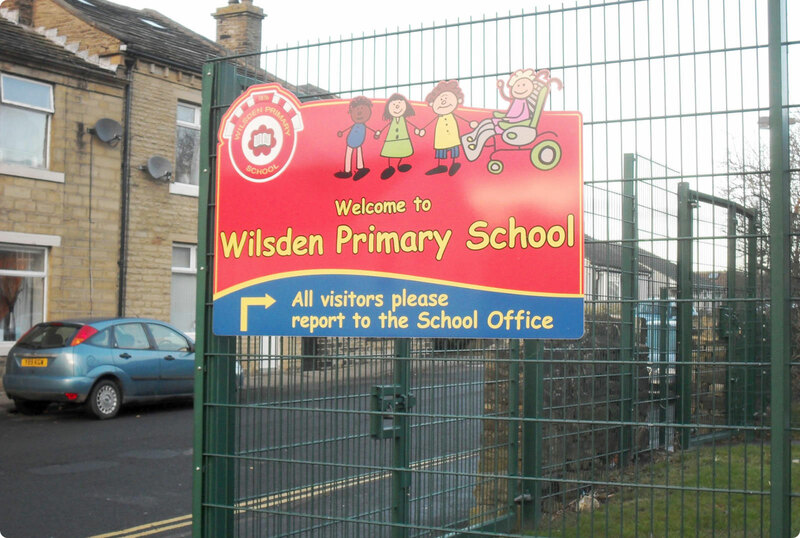 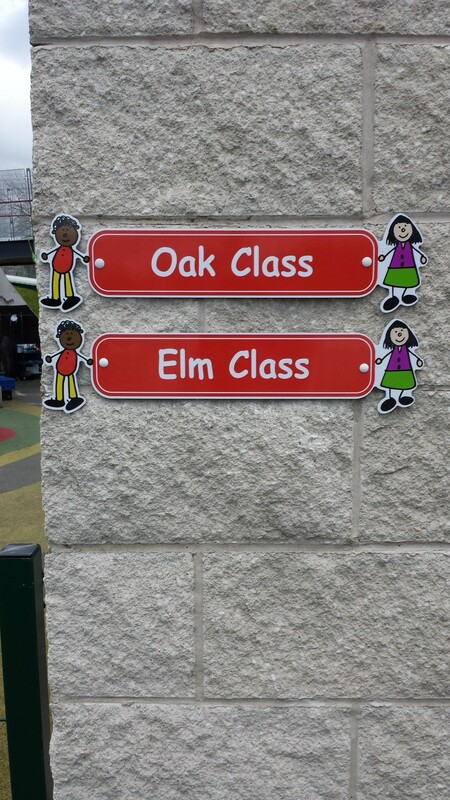 Some of our designs incorporate the multicultural and disability aspect proving that "every child matters"
Our vibrantly coloured child friendly range of shaped aluminium signs are endless. 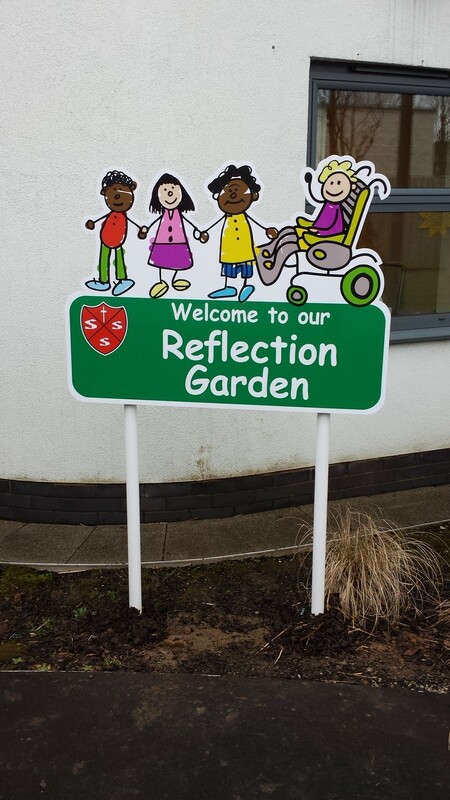 Each sign is totally custom made to your own specific requirements and every design can be adapted to suit your particular needs. 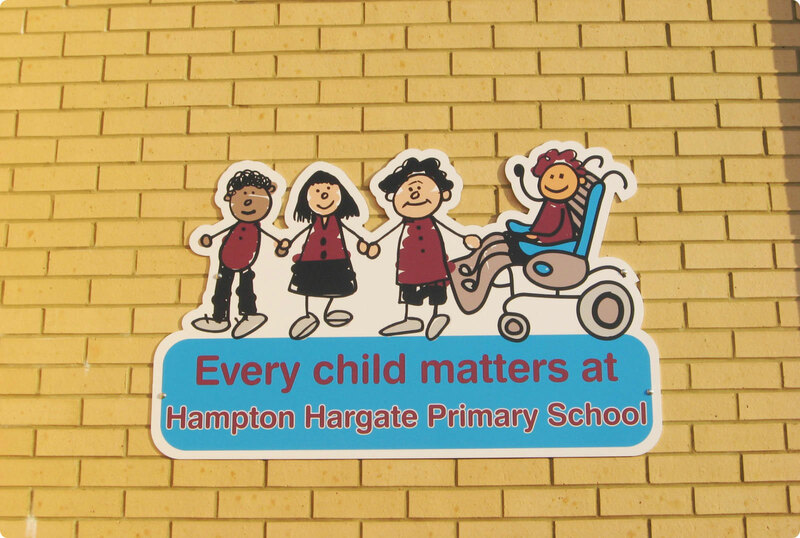 Some of our designs incorporate the multicultural and disability aspect proving that “every child matters”. 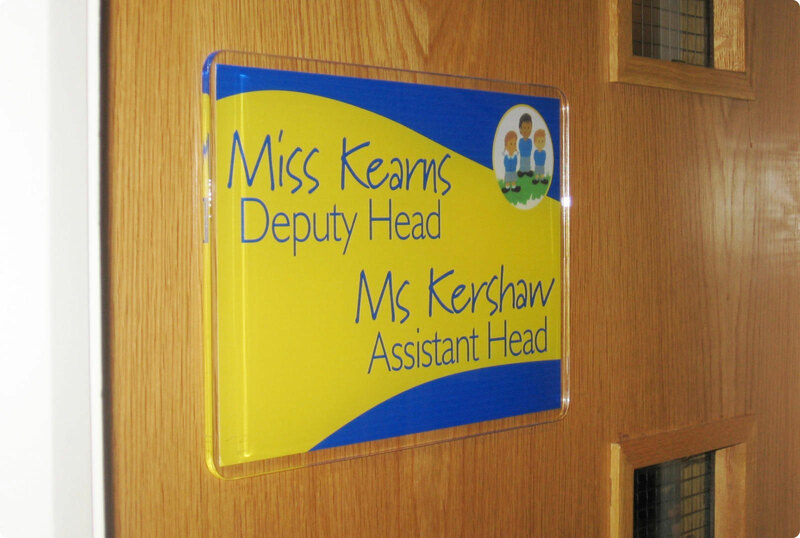 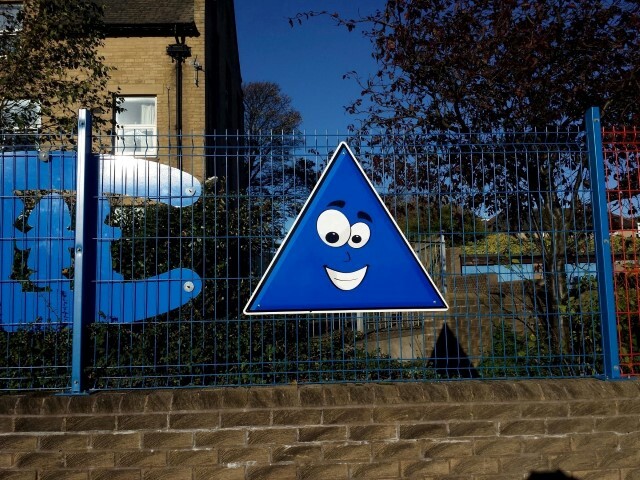 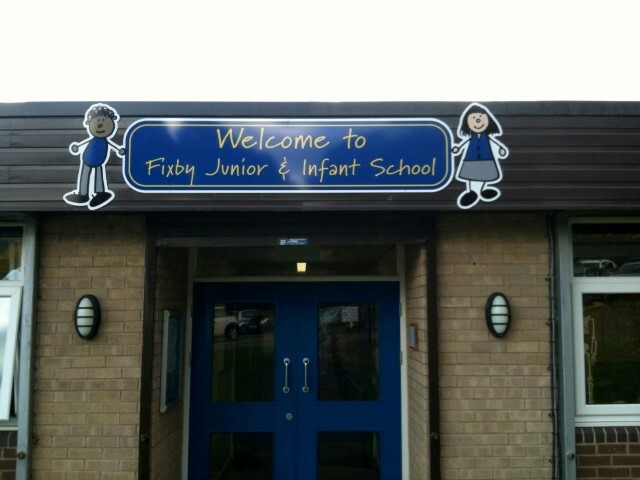 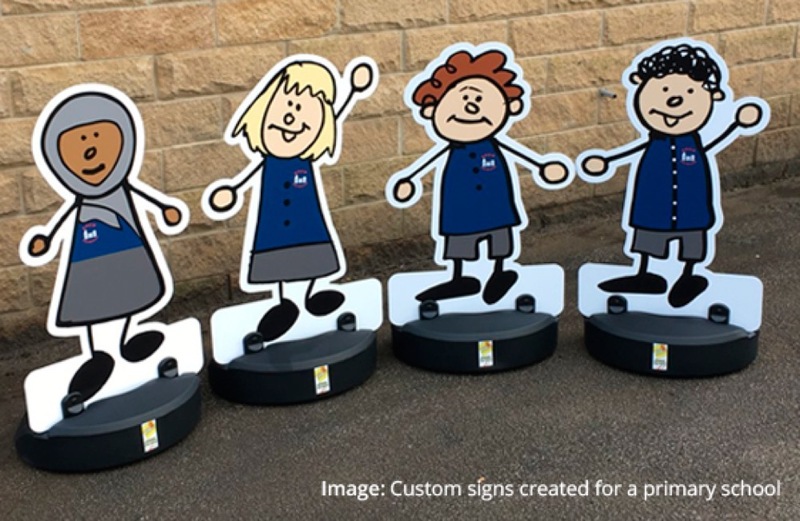 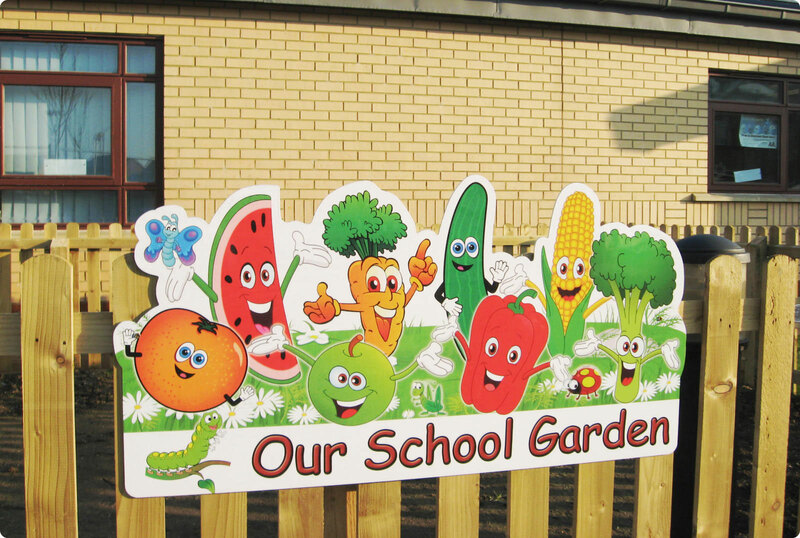 Our kiddie-cut-out range is proving very popular with Primary Schools, Junior Schools, Nurseries and Childrens’ Centres. 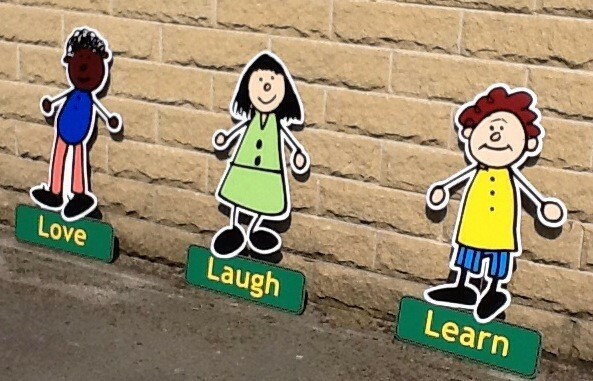 They come with either a bottom text panel, friendship lollipop stick or just simply as kiddie shaped cut-outs. 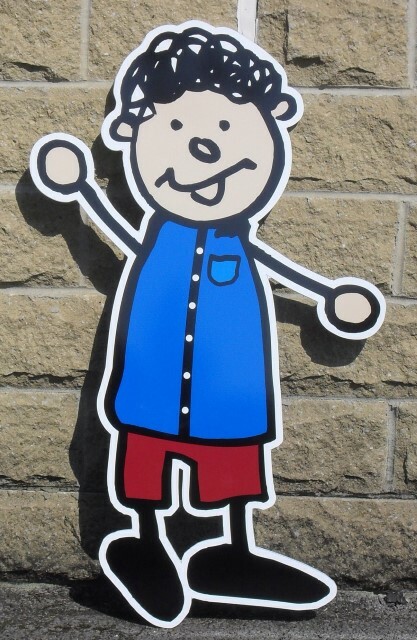 The kiddie-cut-out childrens clothing can be brightly coloured or changed to your own specific school uniform colours. 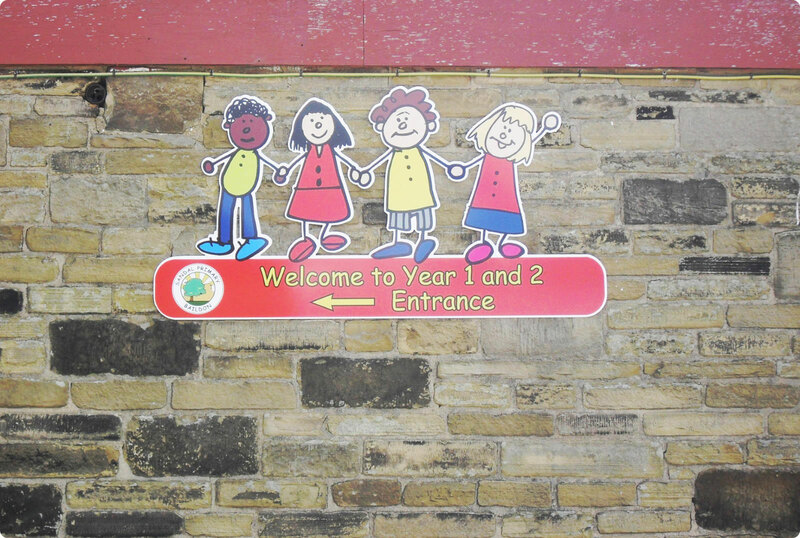 We can even add your school logo to the childrens’ tops, to give the design that special uniqueness. 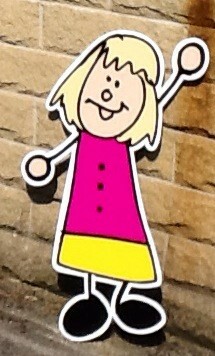 We can also alter face and hair colours, shoe colours, add glasses, freckles, you name it, we can do it! 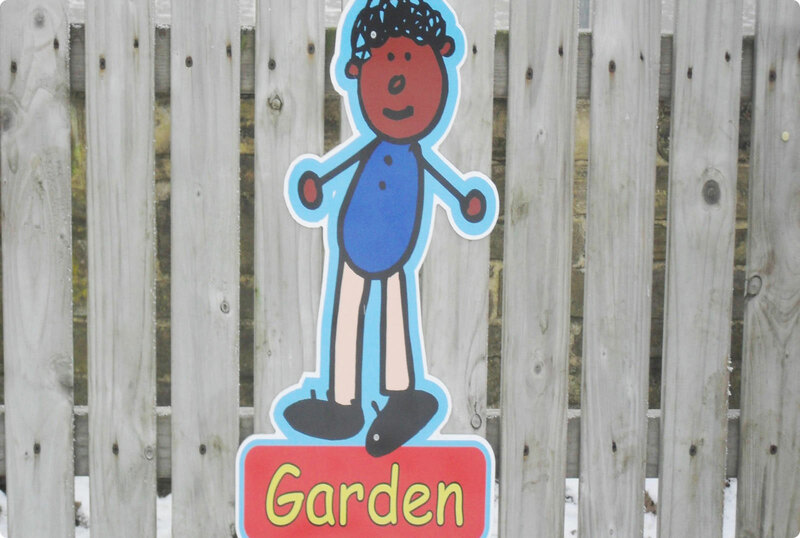 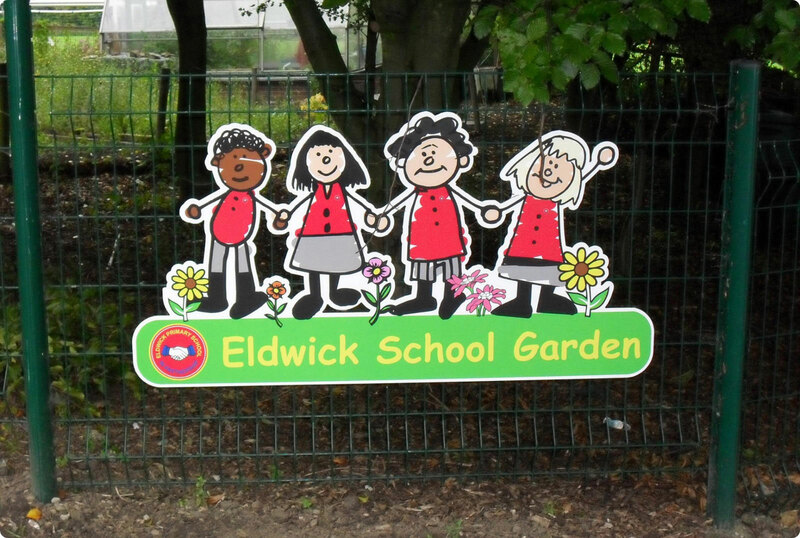 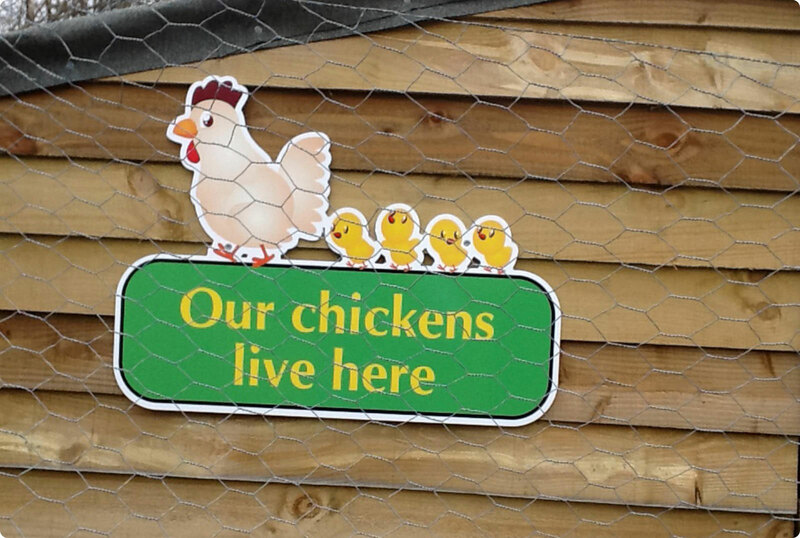 Our range of aluminium child friendly garden signs are available as kiddie-cut-outs with flowers, or shaped cartoon fruit and vegetable designs. 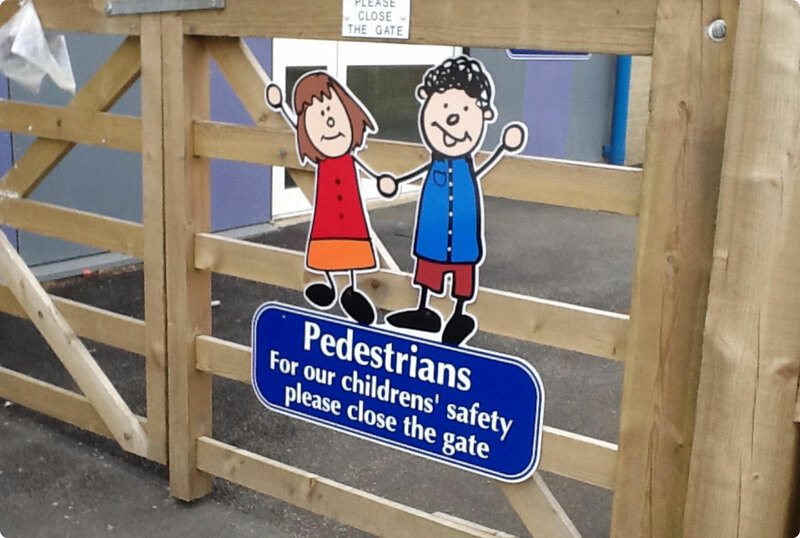 Once again any of our designs can be adapted to your own specific needs. 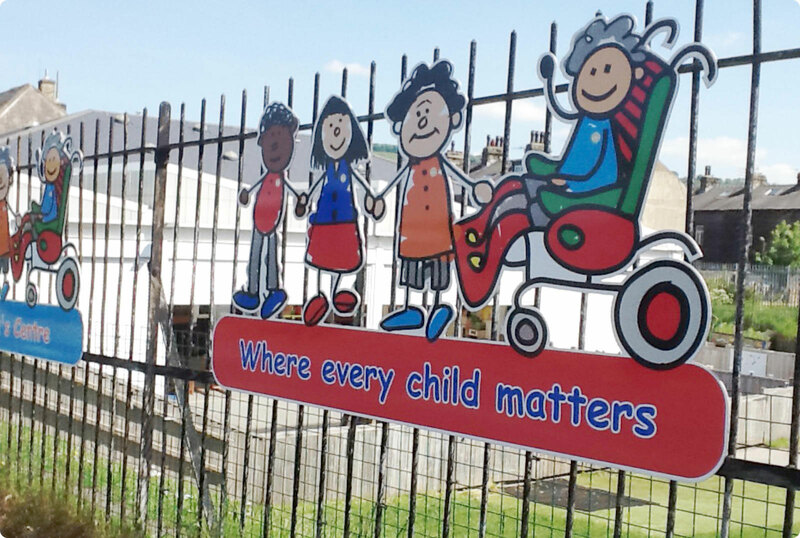 Many Head Teachers mention to us that they feel their schools are very prison like because of the high fences they have had to install for security reasons. 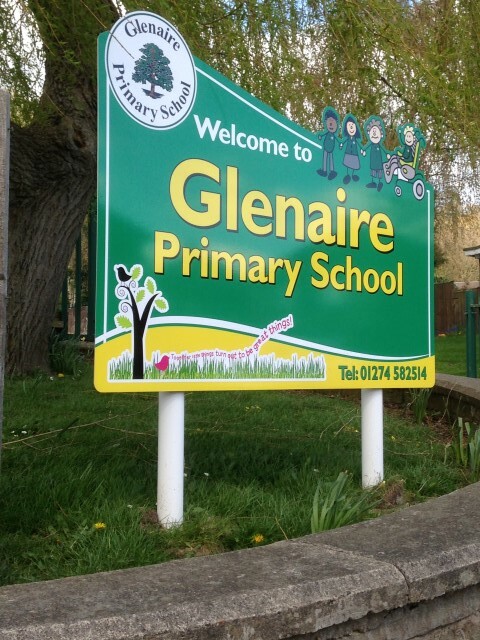 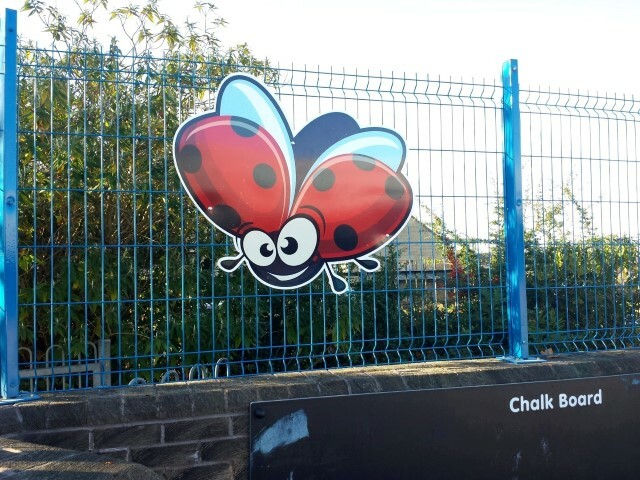 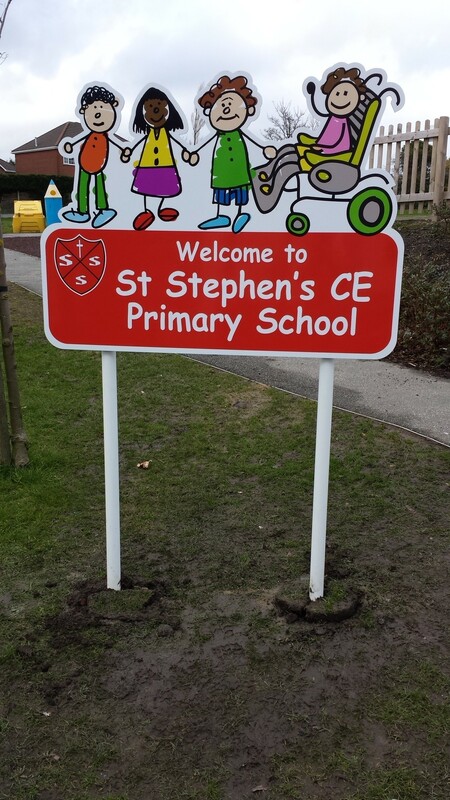 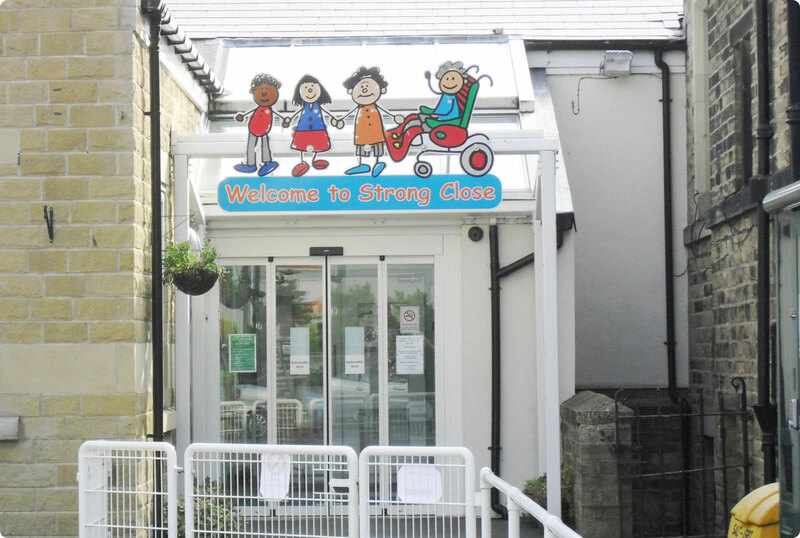 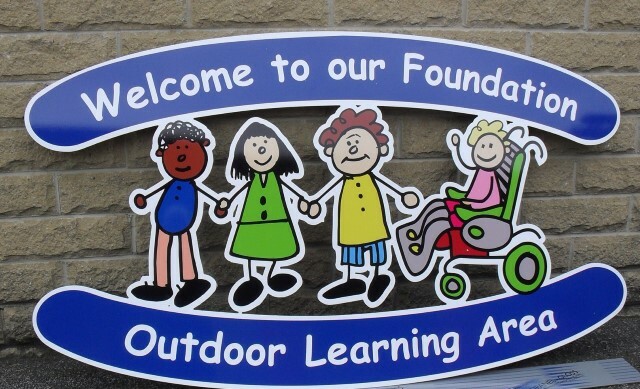 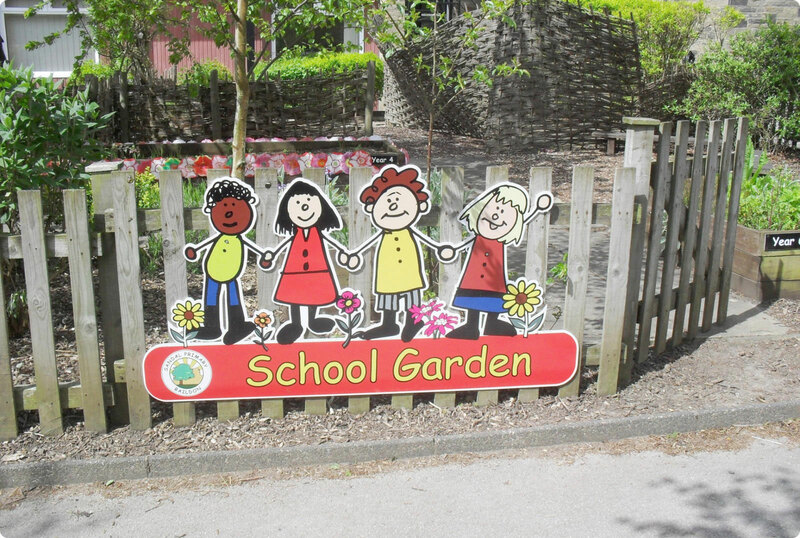 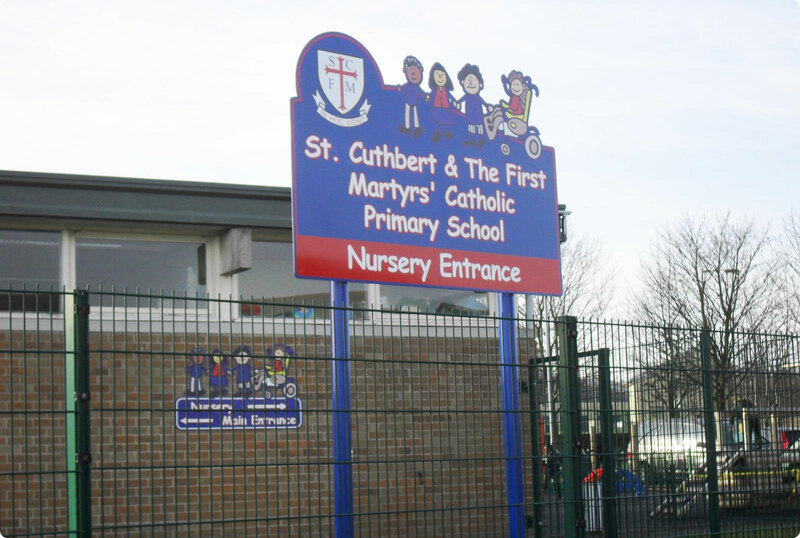 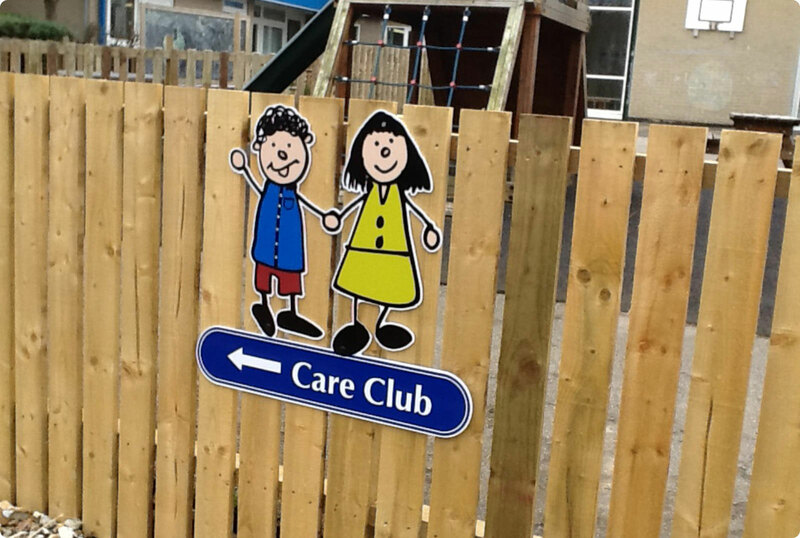 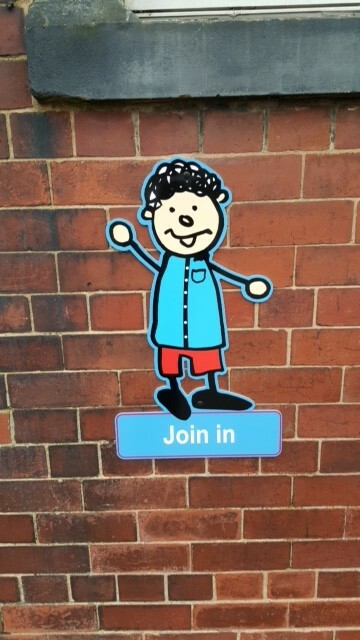 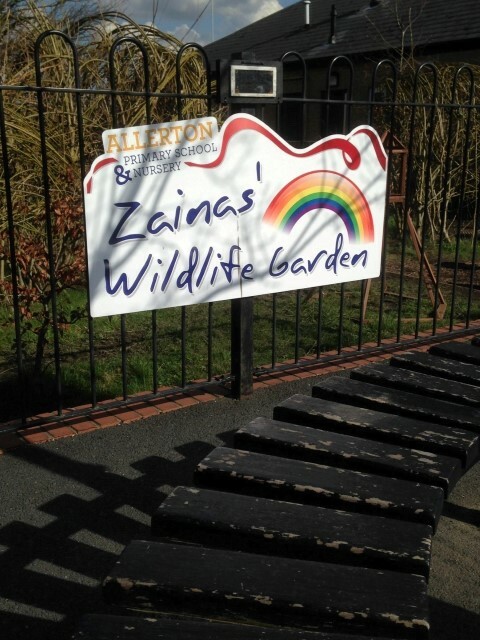 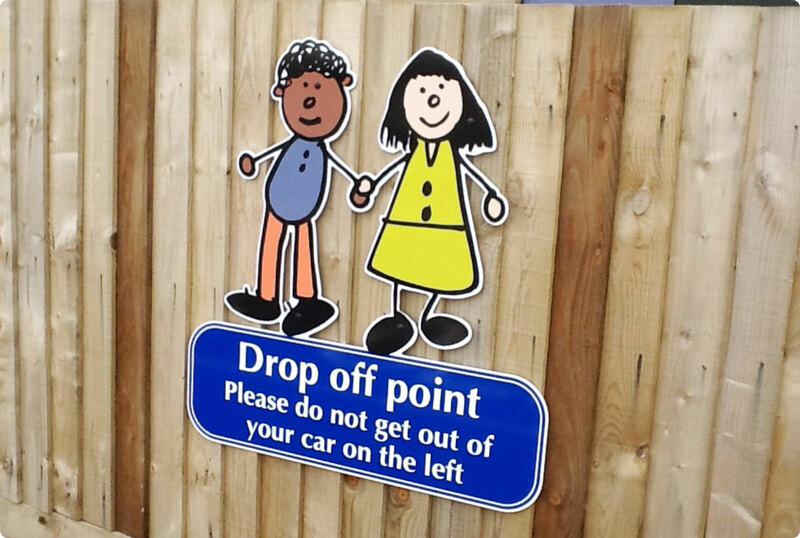 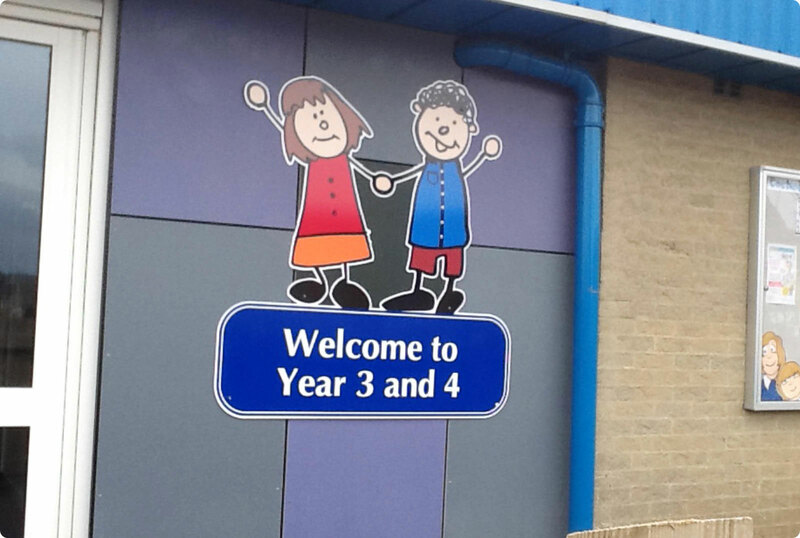 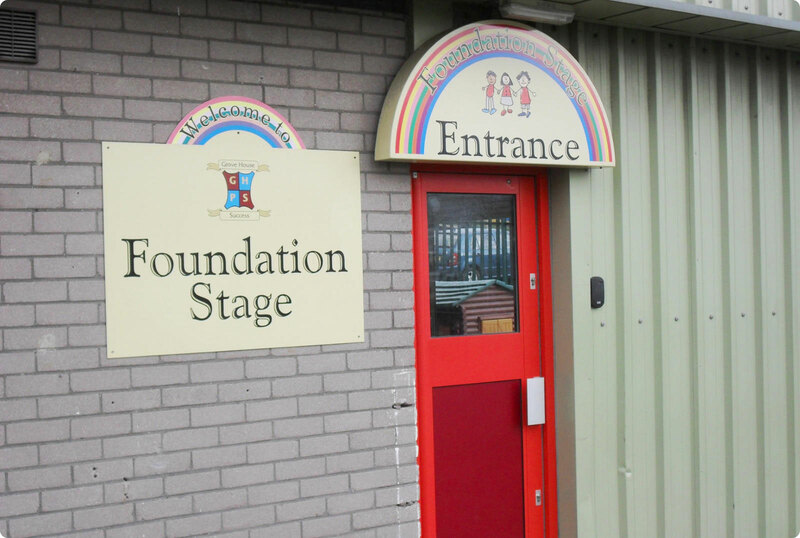 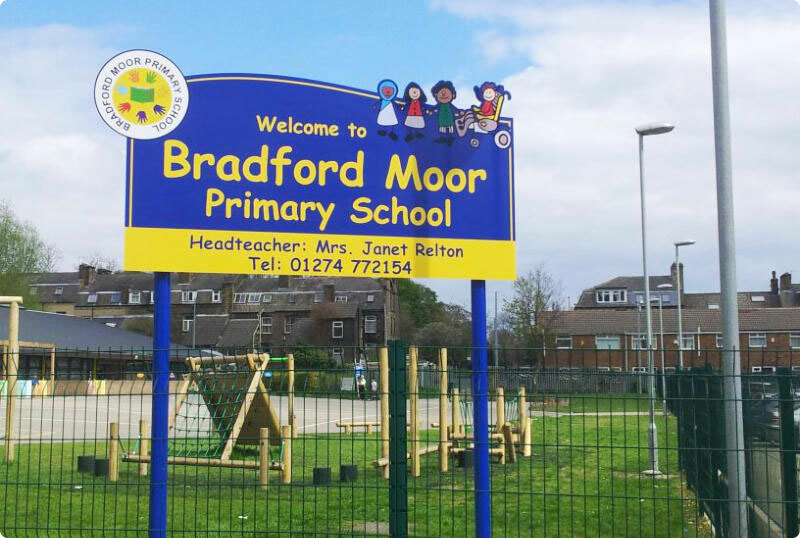 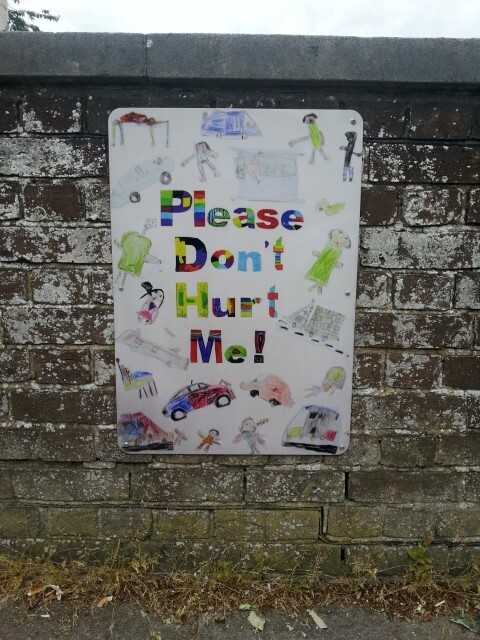 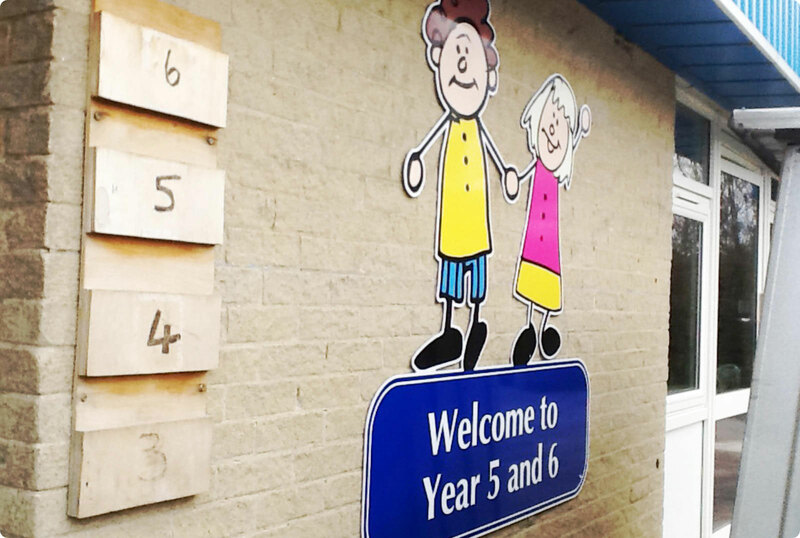 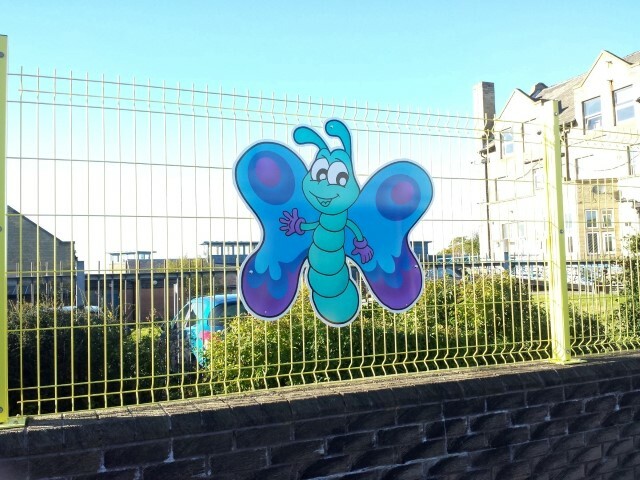 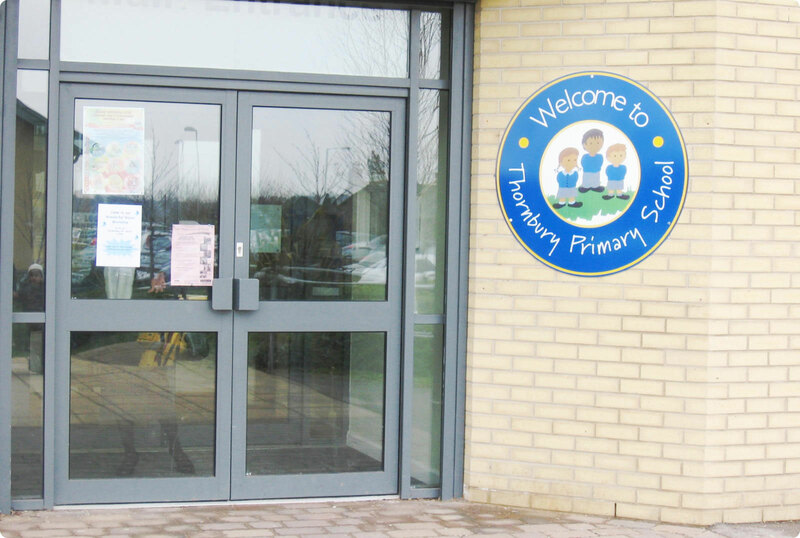 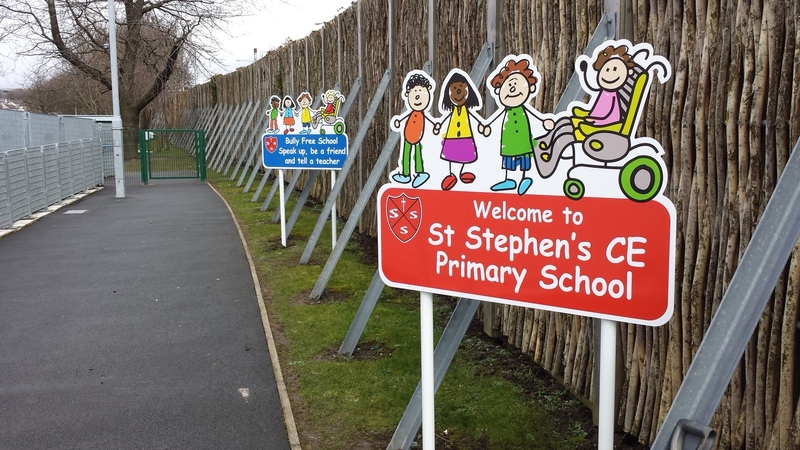 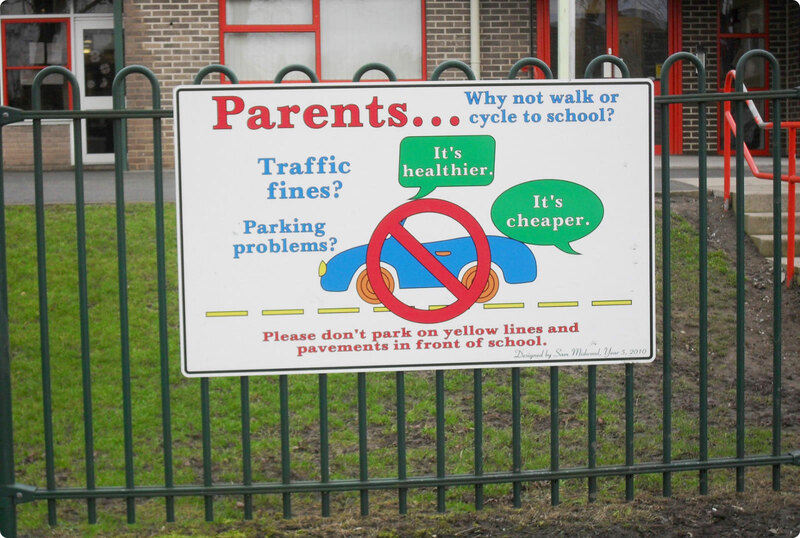 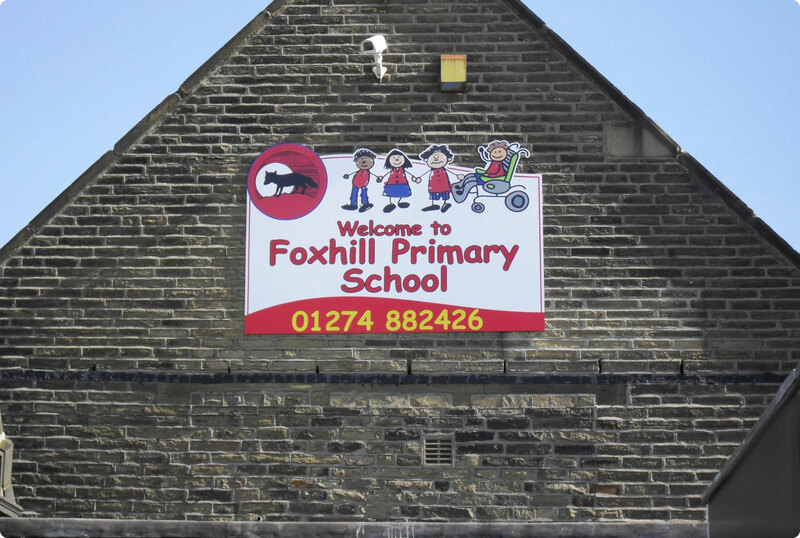 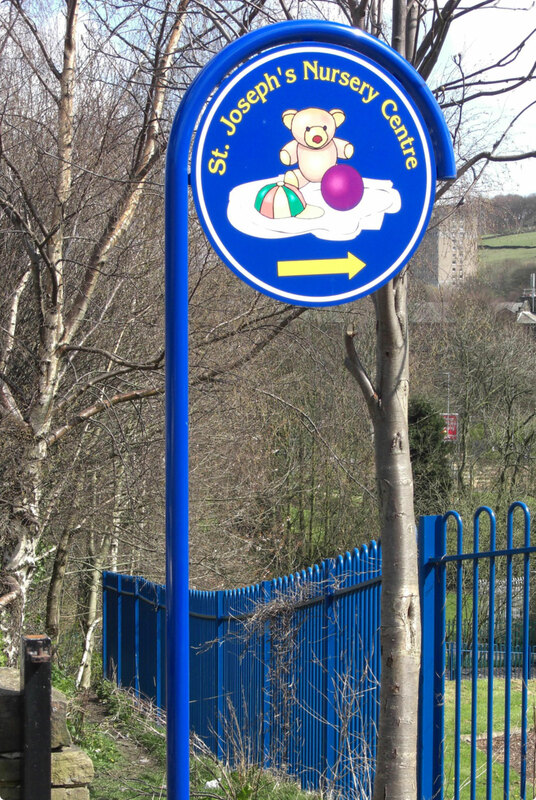 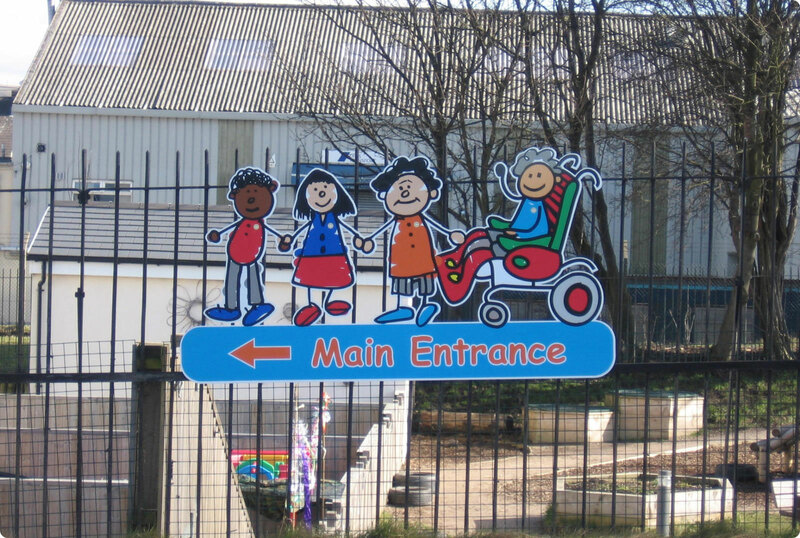 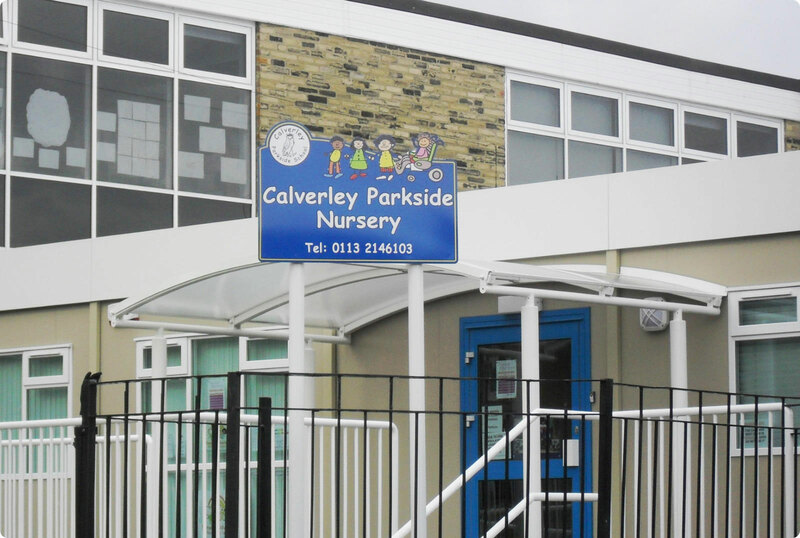 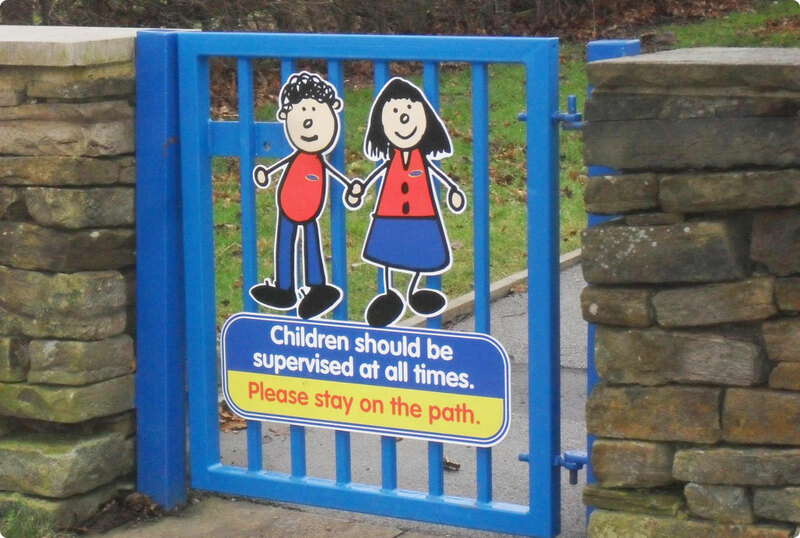 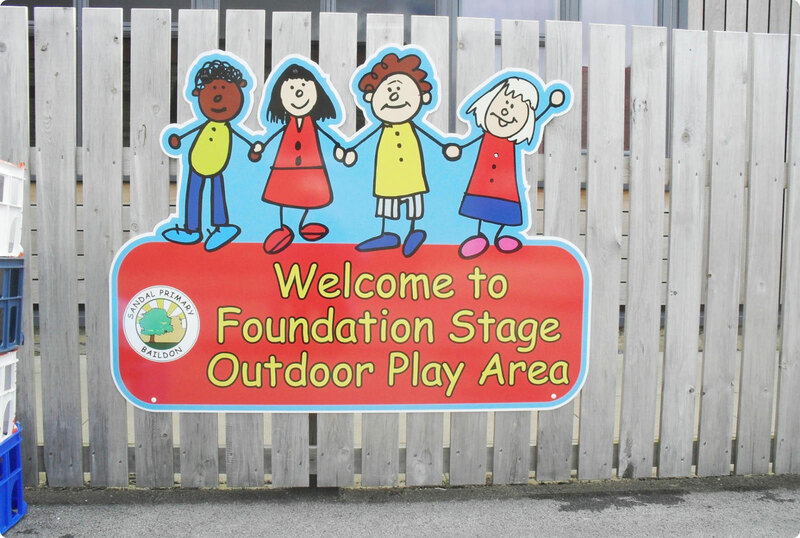 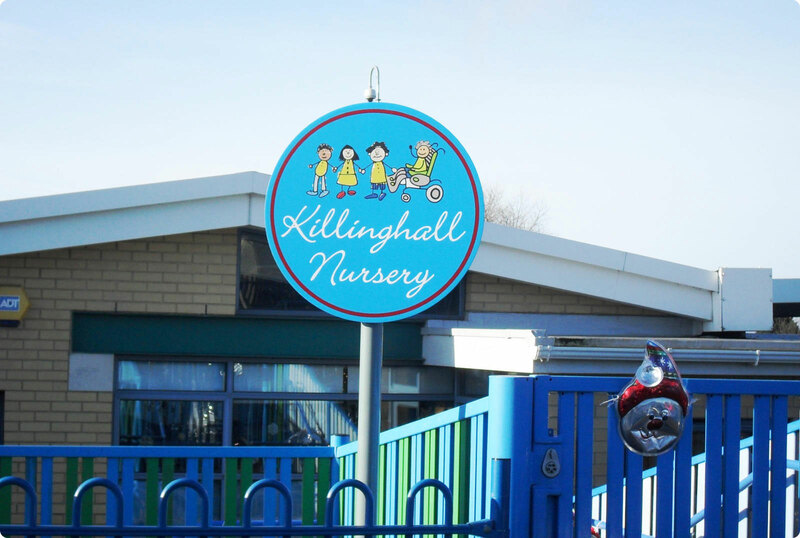 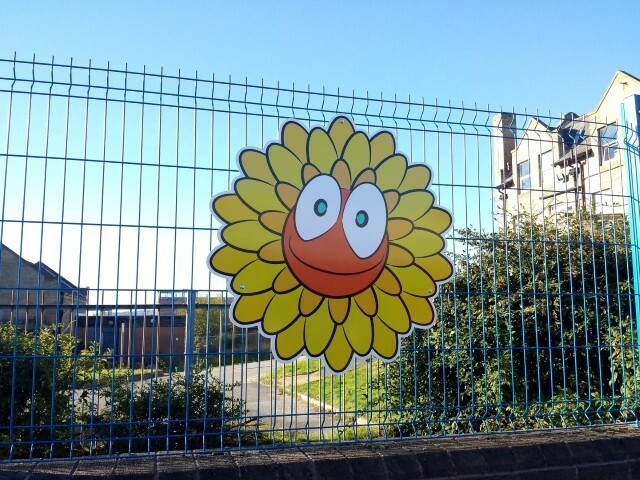 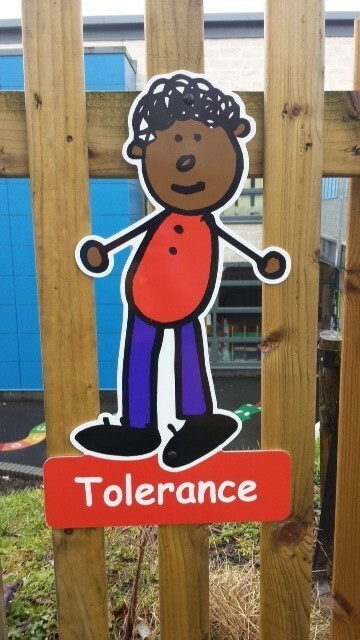 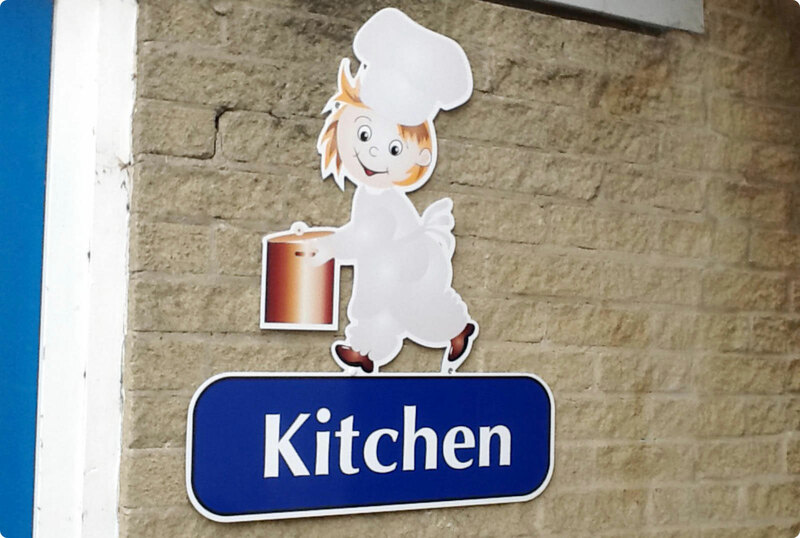 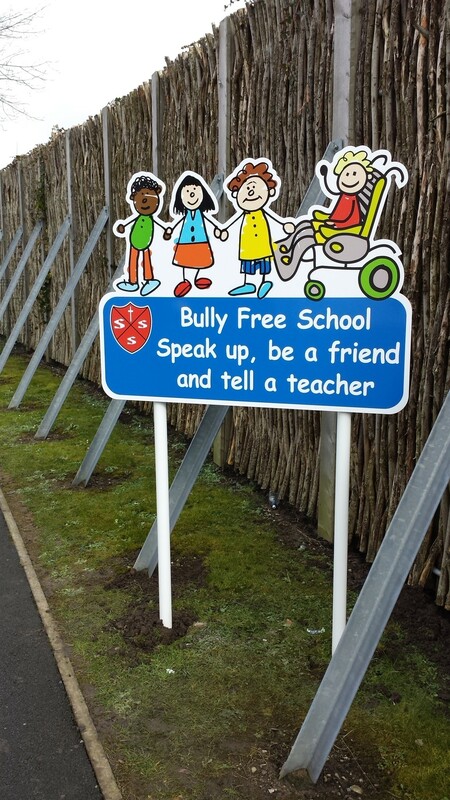 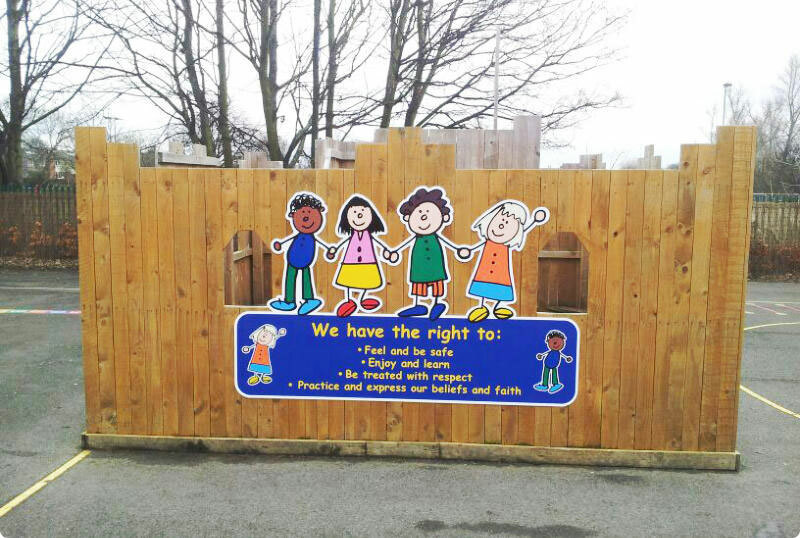 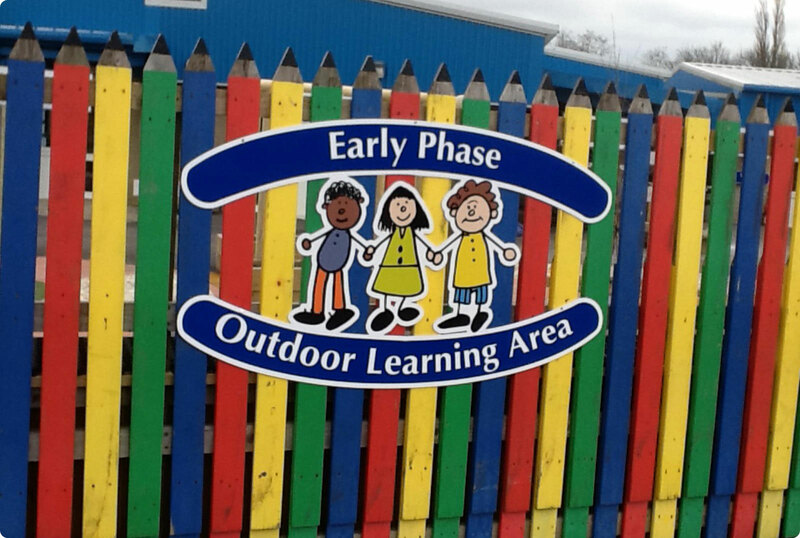 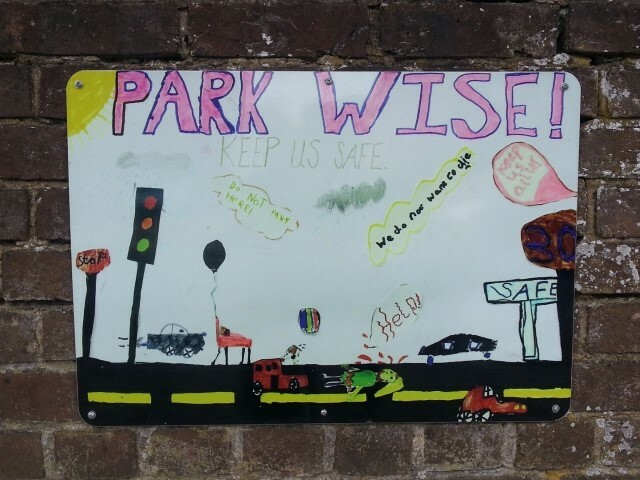 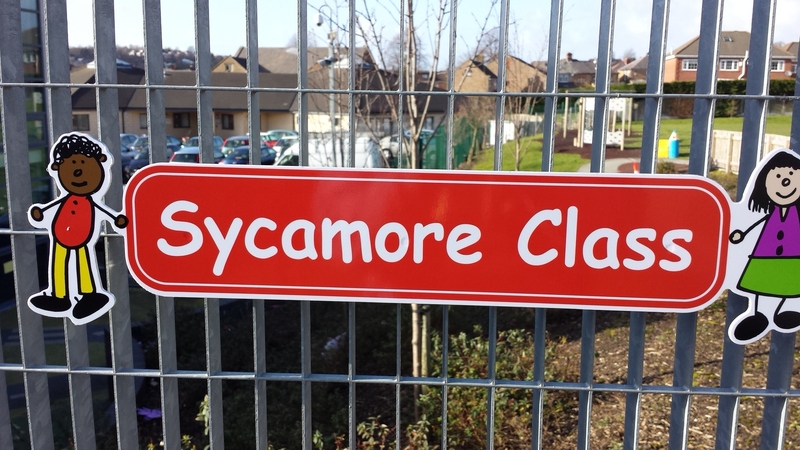 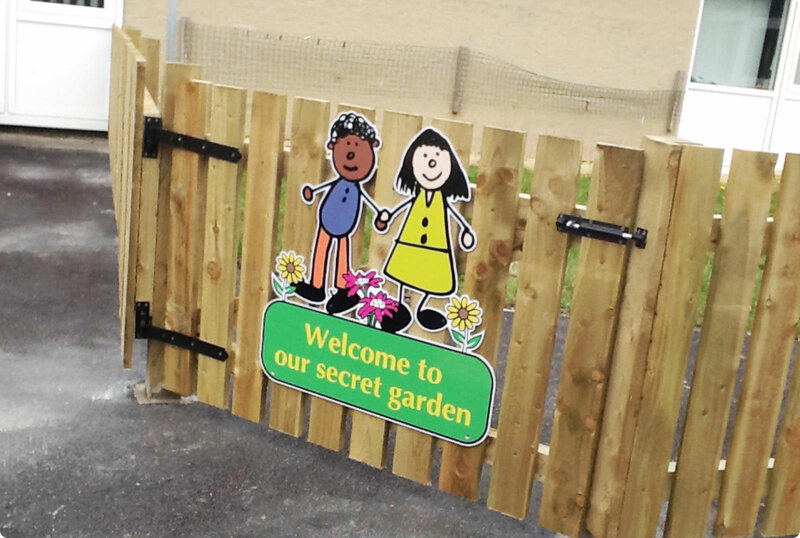 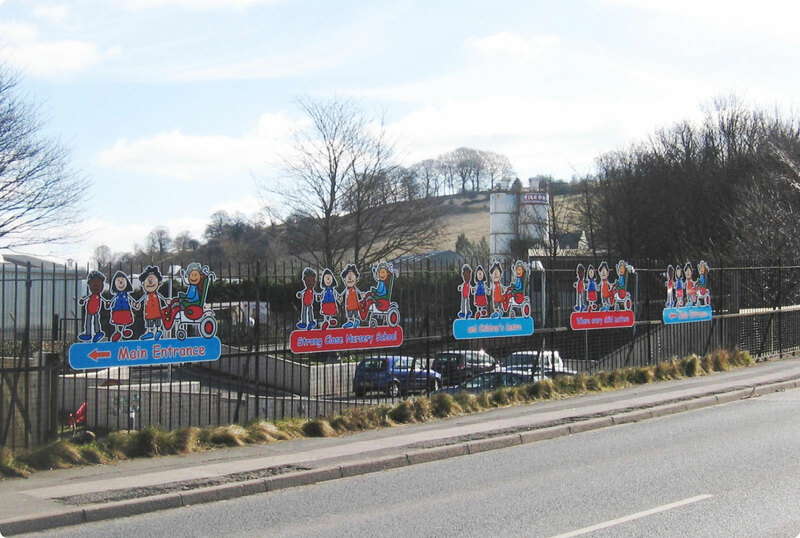 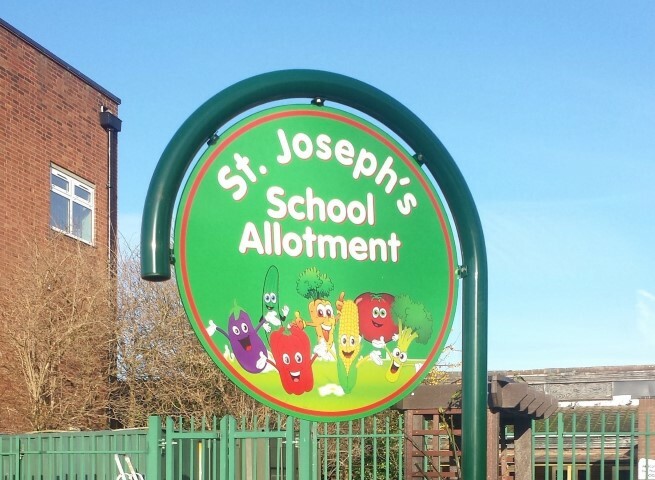 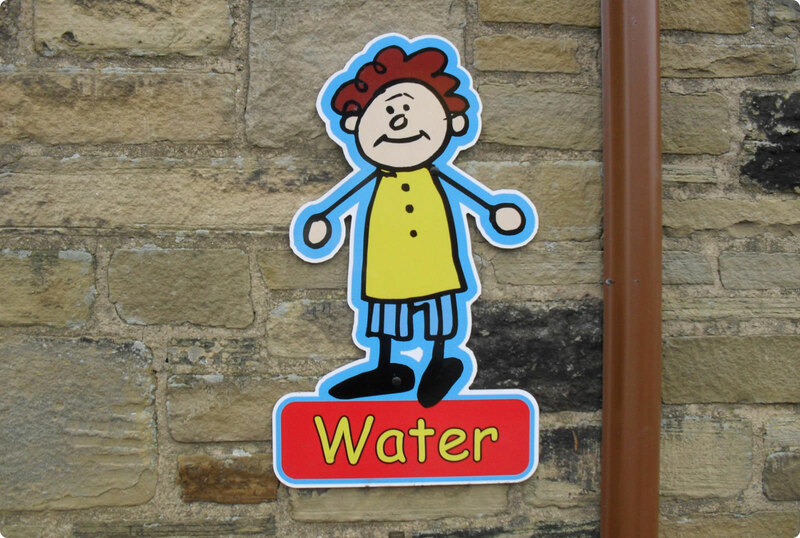 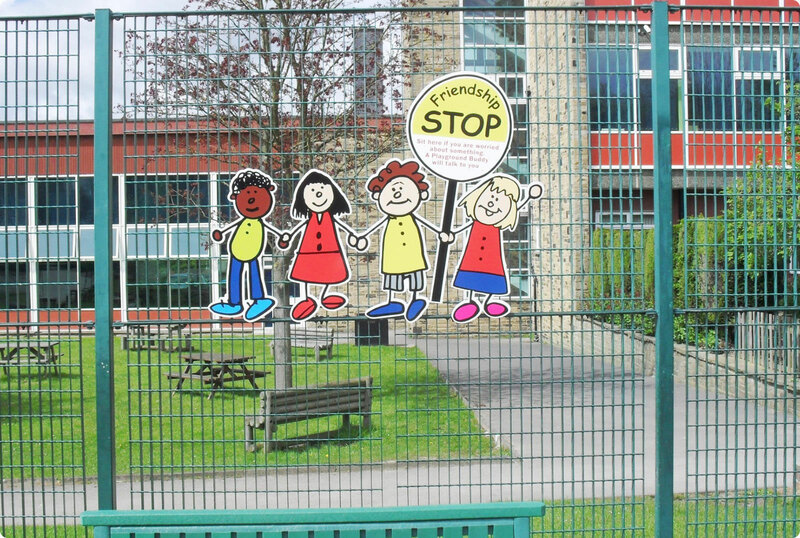 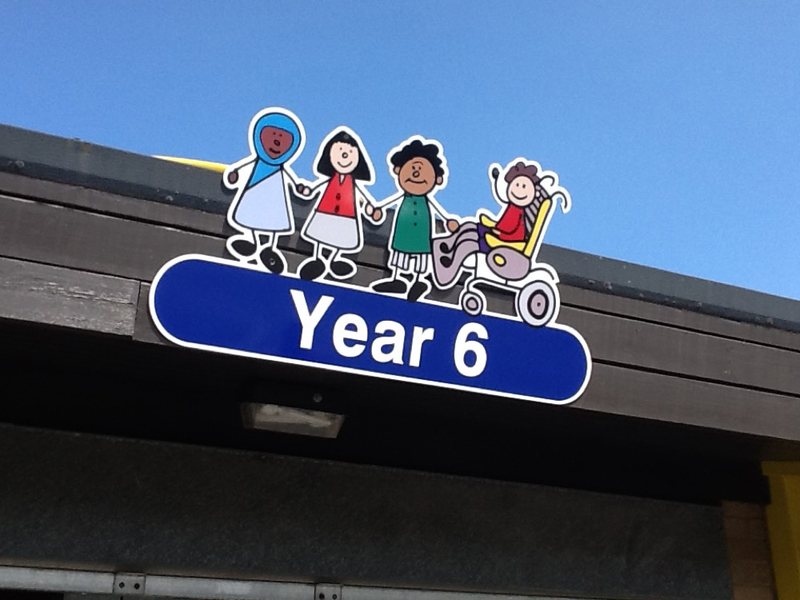 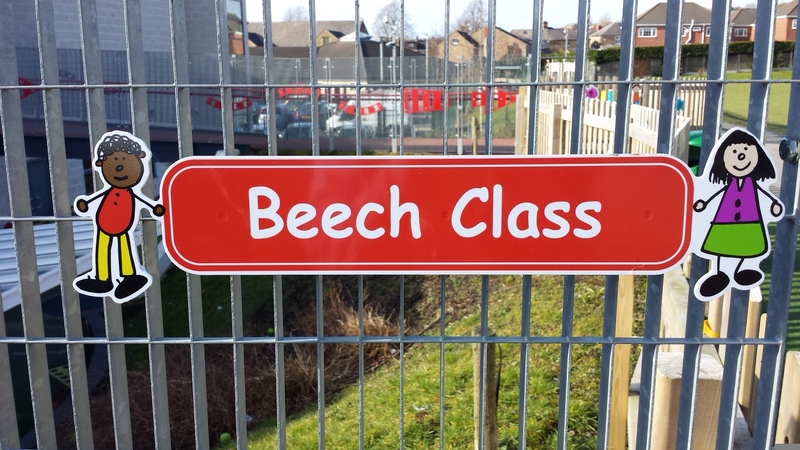 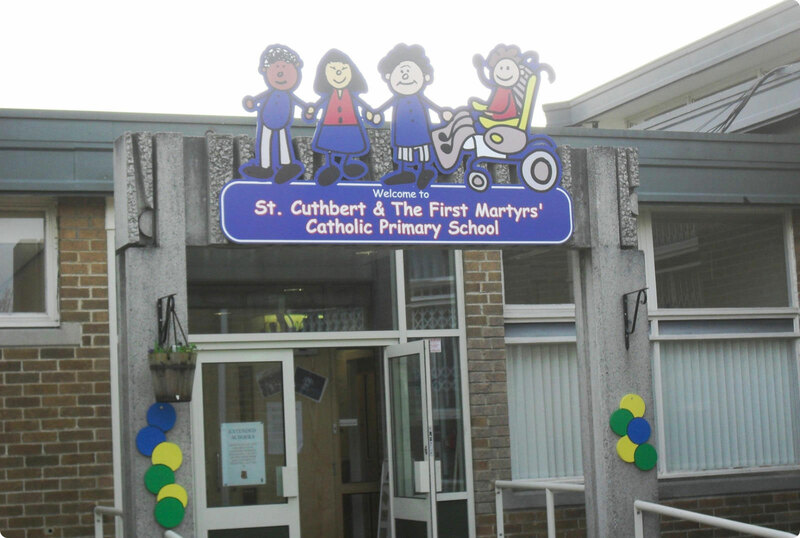 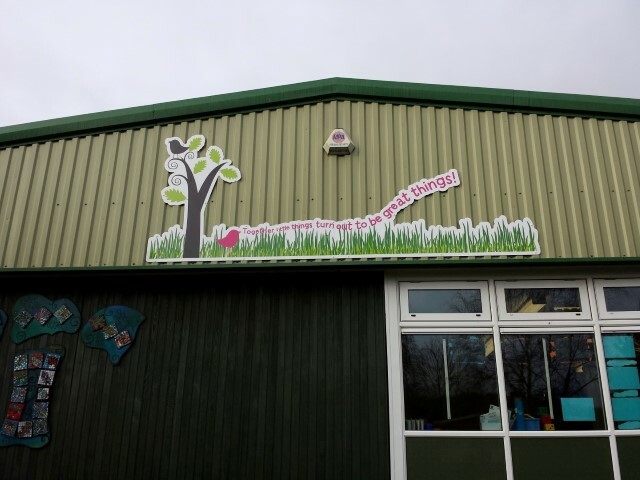 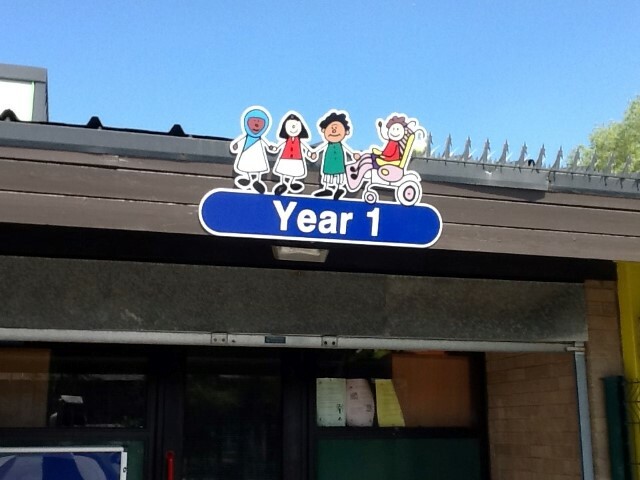 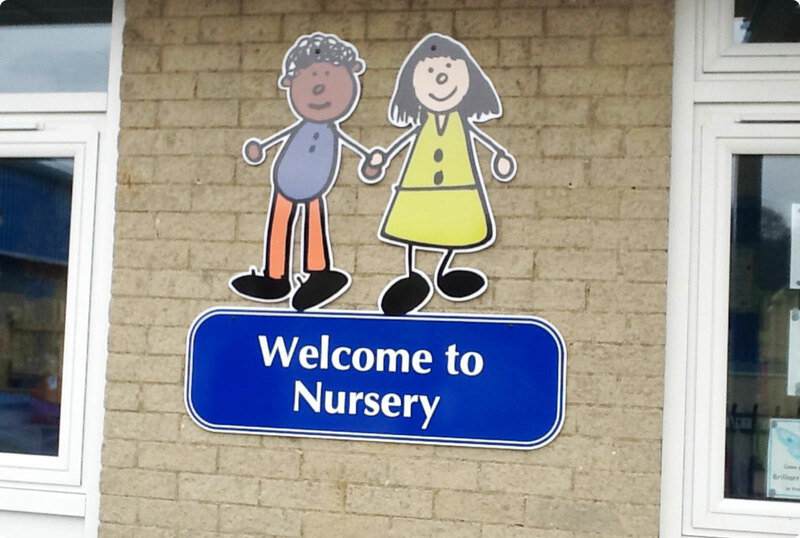 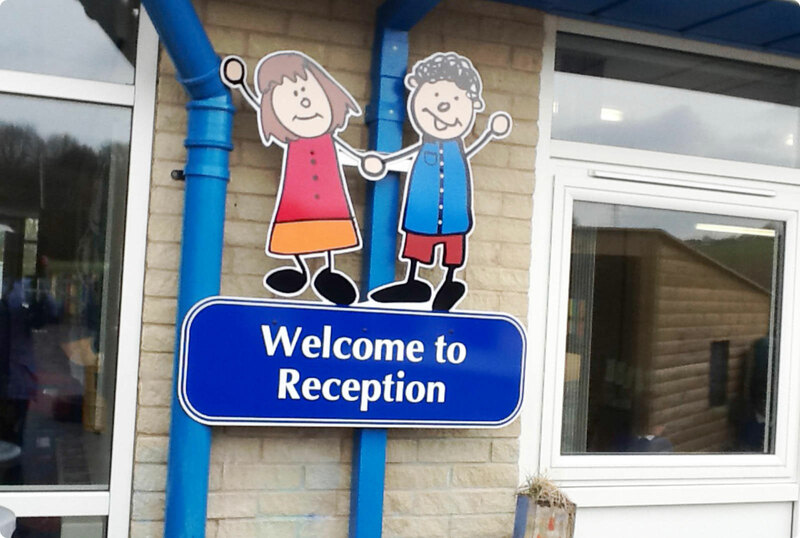 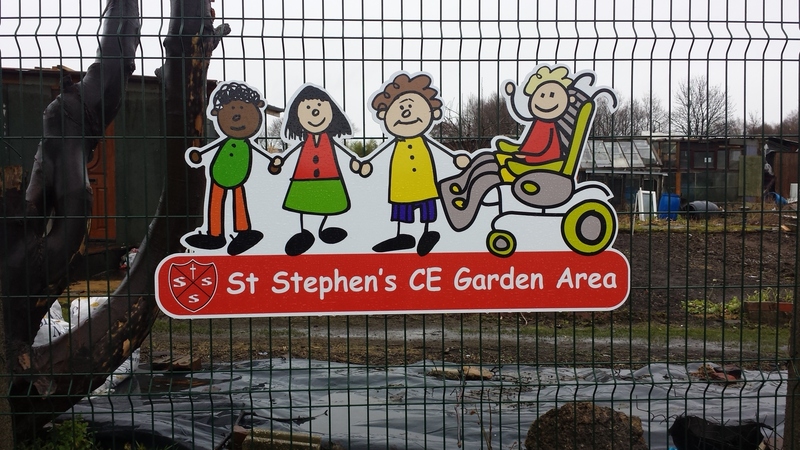 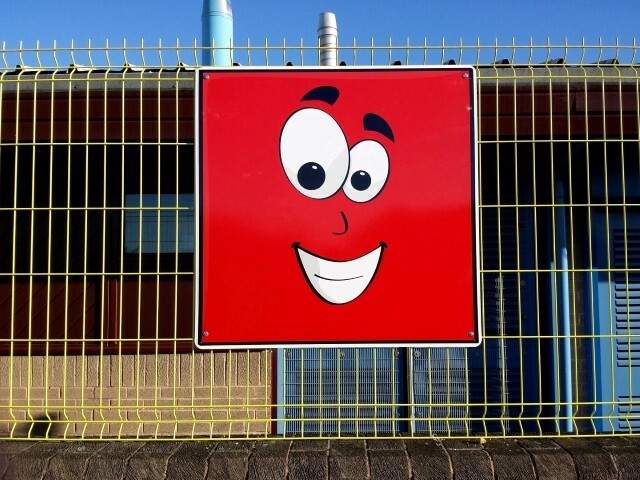 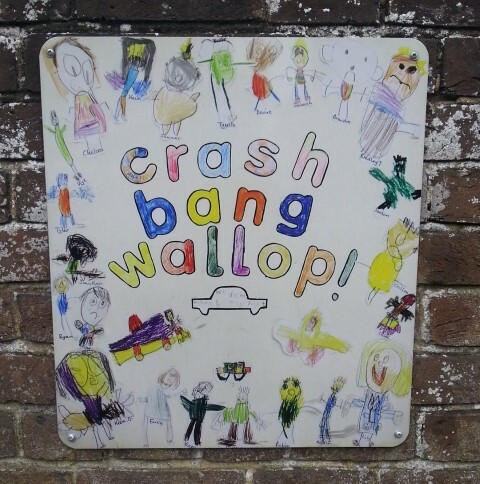 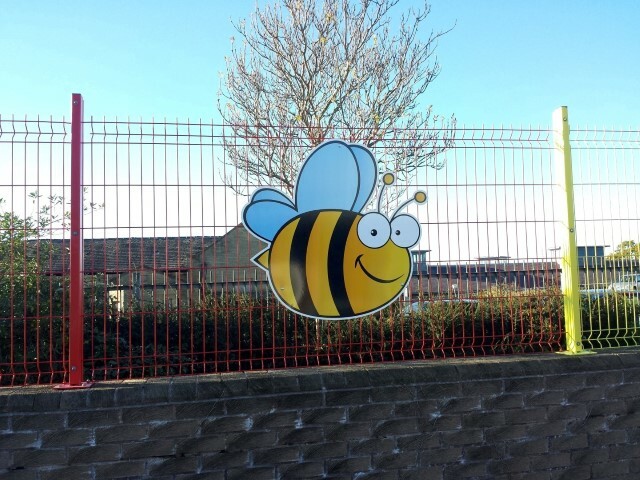 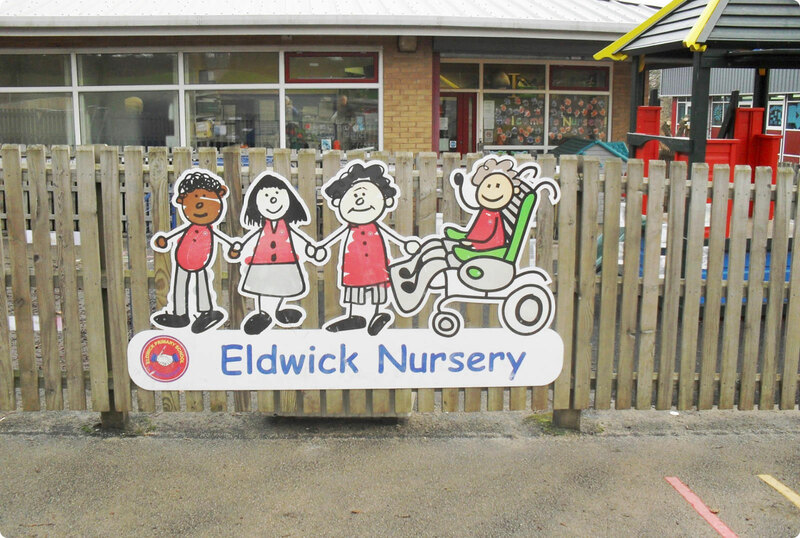 By adding colourful child friendly signs around the School, Nursery or Childrens’ Centre grounds and play areas, it creates a much needed lift and transforms dull areas into colourful fun areas. 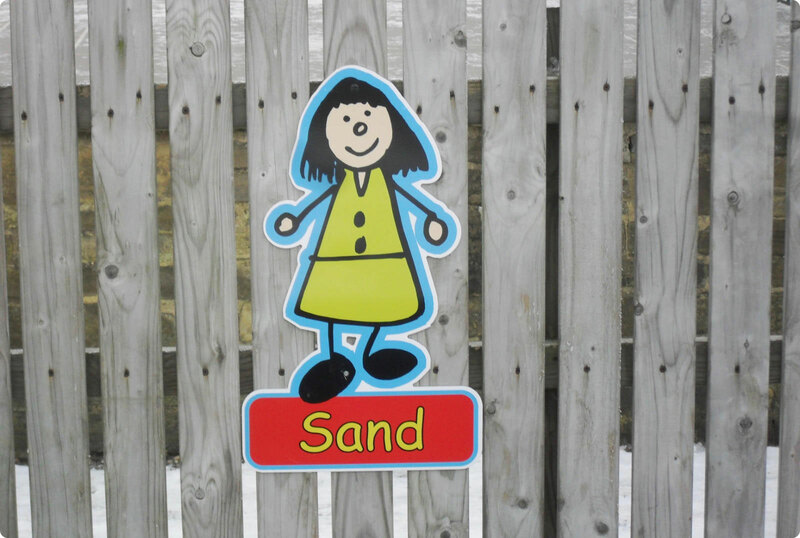 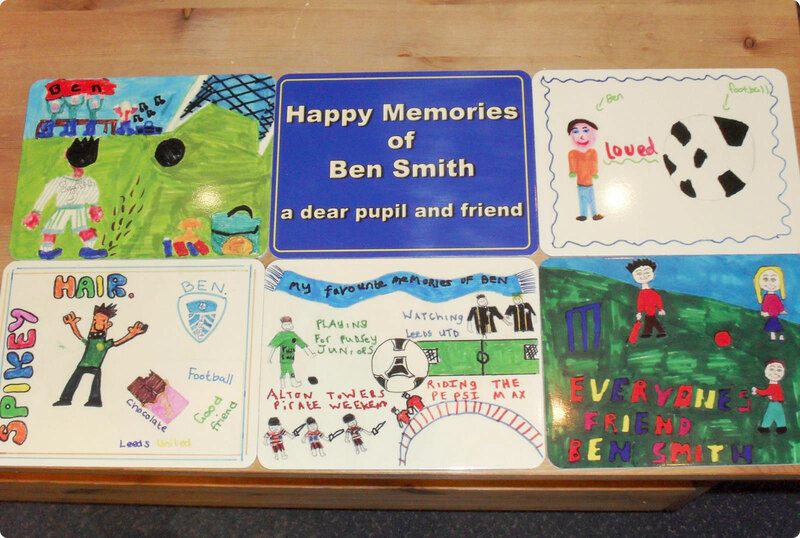 We can also turn childrens’ drawings into stunning signs to create a very special personalised sign. 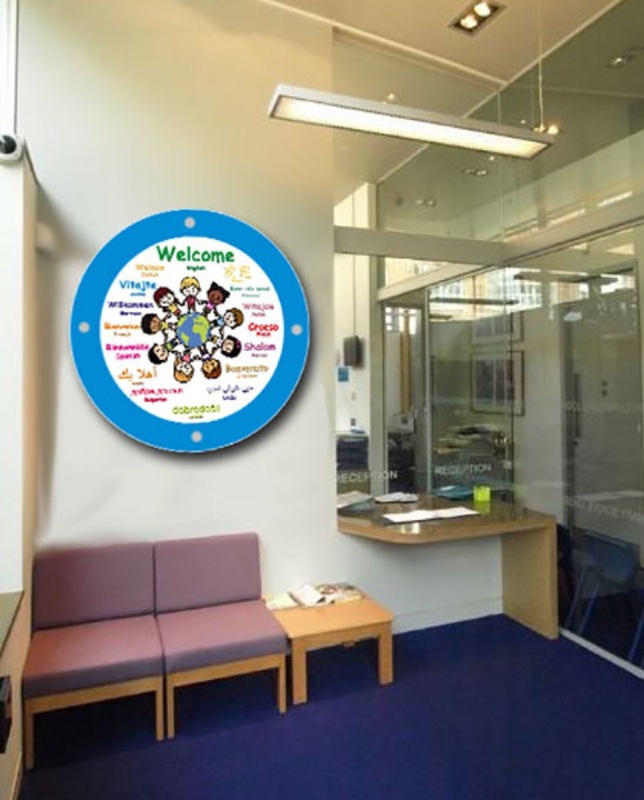 The drawings can be mounted onto aluminium or PVC for internal or external use.